I was told by my husband and even the teachers that I would hate the first time. I thought I would too since the room is heated to 100ish degrees, BUT I actually really liked it! Probably because with the buckets of sweat flowing out of me I really felt like I was cleansing my insides. Knowing it's doing good helps me push through. 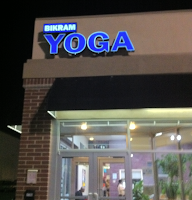 In my opinion normal yoga classes are much harder (posture wise) but the heat makes even simple moves hard. I've since learned that I need to only sip water and breath in and out with my nose. Those two things have helped A LOT! Aimee is doing the 30 day challenge, meaning she goes EVERY DAY for 30 days! Aimee will also post here every Monday. 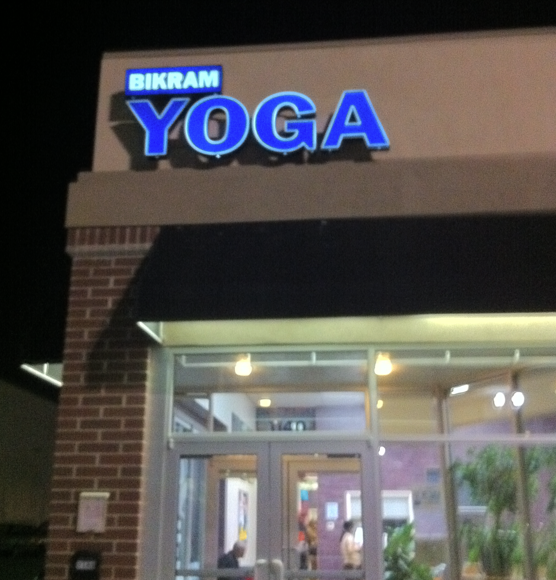 Watch out this monday for a Bikram Yoga Giveaway! !